There's nothing deader than a mammoth -- not just dead but completely extinct. So how can it be moving at night? 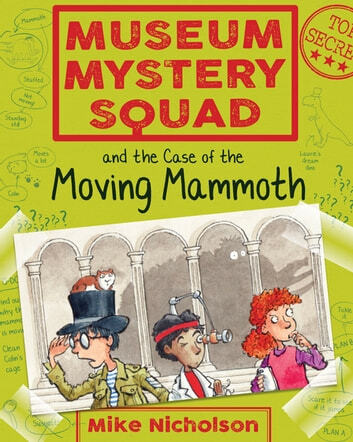 In the Case of the Moving Mammoth, the Squad investigate the museum's new star exhibit, on loan from Tyrone O'Saurus, ringmaster of the travelling Dinosaur Circus. There must be a reasonable explanation for a shifting stuffed prefistoric animal. Can they sift through the clues and unravel the puzzle before the museum faces a mammoth-sized problem?